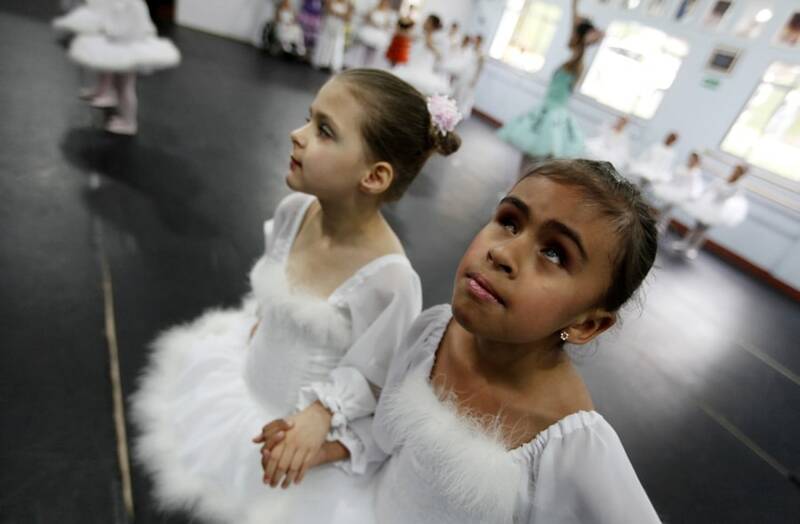 Deaf ballet student Raissa Goncalves and her blind classmate Vitoria Rodrigues rehearse Don Quixote at the Association of Ballet and Arts for the Blind, in Sao Paulo on Nov. 19, 2011. Blind ballerina Vitoria Rodrigues, member of the Association of Ballet and Arts for the Blind, stands backstage before performing Don Quixote at the Brigadeiro Theater in Sao Paulo on Nov. 26, 2011. Dancing is challenging enough when you have all of your senses. The movements, the rhythm, the music... the audience. It is hard to imagine performing on a stage that you cannot see. Watching your movements while surrounded by mirrors has always been an important part of training for ballerinas. These visually impaired dancers must learn their moves by trusting their other senses and their instructors. In 1995, Fernanda Bianchini embraced these challenges and created new techniques when she began offering free dance classes to the blind and founding the Association of Ballet and Arts for the Blind in Sao Paolo, Brazil. She has since expanded her teachings to include the deaf and mute. It was one of the most difficult assignments I’ve ever had. I had to learn quickly the steps of their rehearsals so as not to get in the way of their dancing. They surprised me with steps and jumps in which I feared tripping and injuring them. One of the instructors was also nervous with my position, and although I soon understood their movements I knew they could change at any time. That could have been tragic for them. What most impressed me was seeing how a deaf-mute dancer helped a blind one, and vice versa. They helped each other by holding hands to learn classic ballet together, with extraordinary simplicity and beauty. Simplicity describes the way they behaved together, and their young age made an even deeper impact on me. Continue reading. Ballerina and teacher Fernanda Bianchini helps handicapped student Joyna Silva as they rehearse Don Quixote at the Association of Ballet and Arts for the Blind, in Sao Paulo on Nov. 19, 2011. 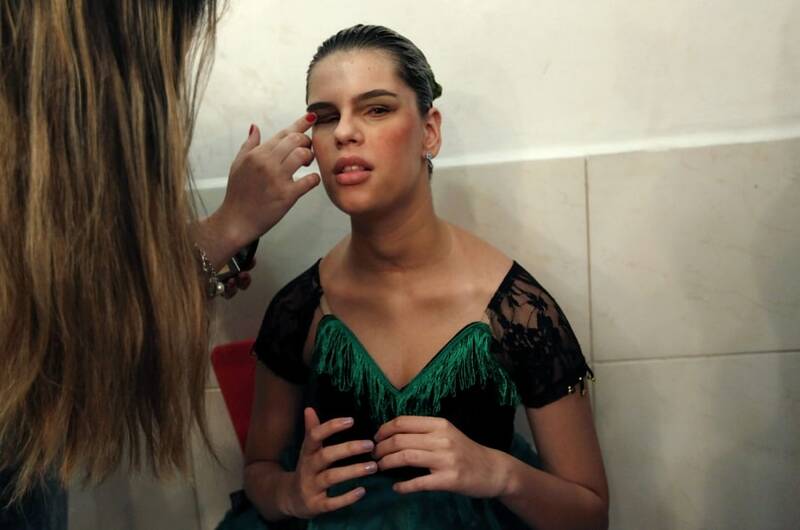 Blind ballerina Giovanna Zuttion of the Association of Ballet and Arts for the Blind gets makeup applied before performing Don Quixote at the Brigadeiro Theater in Sao Paulo on Nov. 26, 2011. 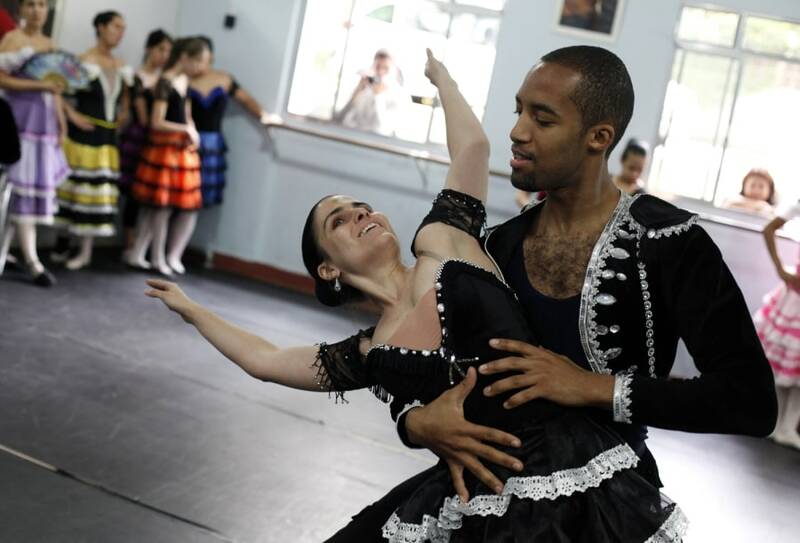 Ballet dancer Everton Bispo (R) and blind student Marina Gimaraes rehearse to perform Don Quixote at the Association of Ballet and Arts for the Blind, in Sao Paulo November 19, 2011. 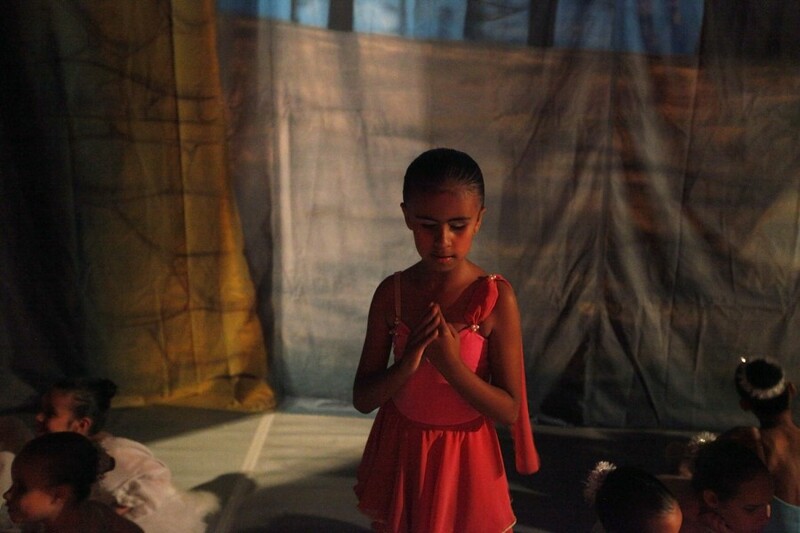 Blind ballerina Geyza Pereira, a member of the Association of Ballet and Arts for the Blind, pauses backstage before performing Don Quixote at the Brigadeiro Theater in Sao Paulo on Nov. 26, 2011.